Kids driving you up the walls in the holidays? Leave it to us – we’ll get it out of their systems for you! Rockclimbing has always been one of our workshop favourites here at Active Arts. 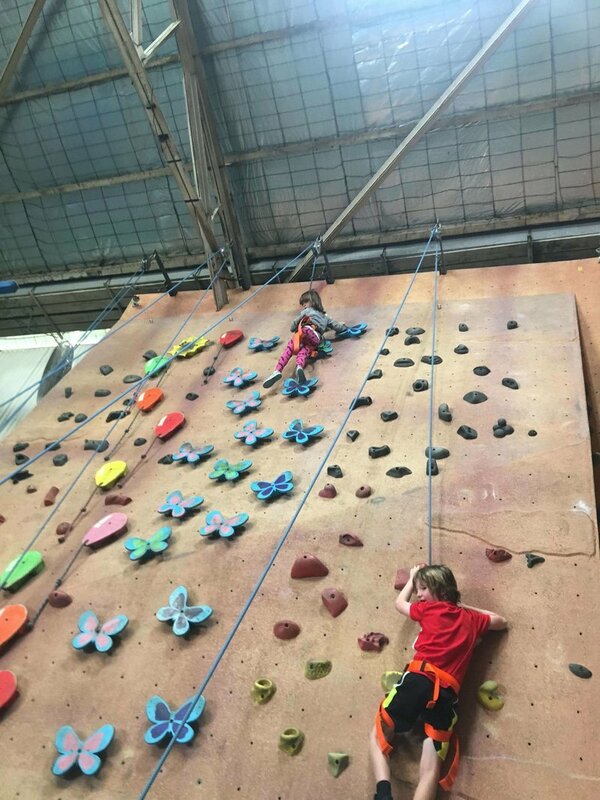 Whether your child is a fearless spider-monkey, or afraid of heights, all of our students walk away with a massive sense of accomplishment… and a little exhausted! 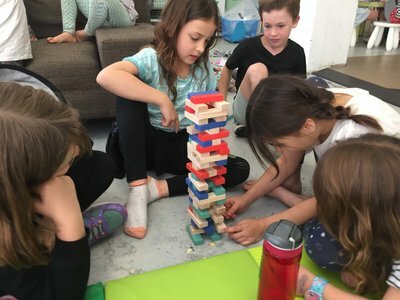 Unlike other vacation care programs that place students in large groups of climbers with only one belayer, here at Active Arts we like kids to be moving, not waiting. 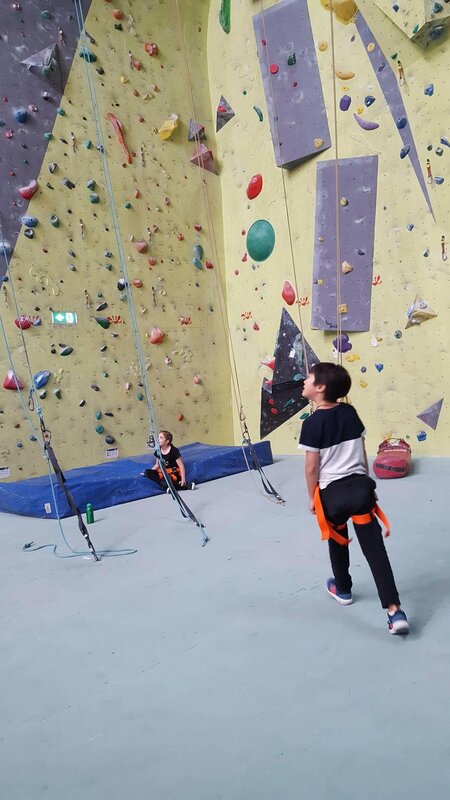 Our workshoppers form teams of 2-4 students with their very own belayer, and they get to spend their 2-hour session roaming the Sydney Indoor Climbing Gym and selecting the next wall to conquer. The smaller teams give students a chance to climb more, but it also allows us to cater to the individual needs of each student. While one student may feel like dangling 12ft in the air off a stalactite, another may feel like a more gentle climb on the butterfly wall. The small team system means kids can work at their own pace in a supportive environment that promotes encouraging others and teamwork. An Active Arts Workshop wouldn't be complete without the chance to fly! This session is always a workshop favourite. 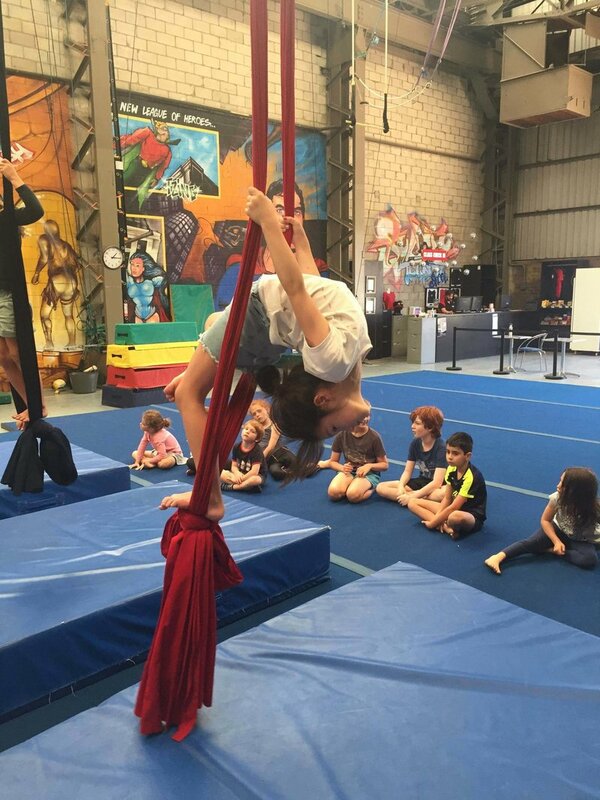 Whether your child is a daredevil or a little more cautious, there's always a heap of fun to be had at the Sydney Trapeze School. The session is split into two sections, with one section dedicated to all things circus - silks, plate spinning, tightrope walking and more! The second session sees our students soar through the air in a high-flying trapeze session. For our more experienced Active Arts Workshoppers, there's always a chance to try a 'catch' at the end too! It’s time to get moving! 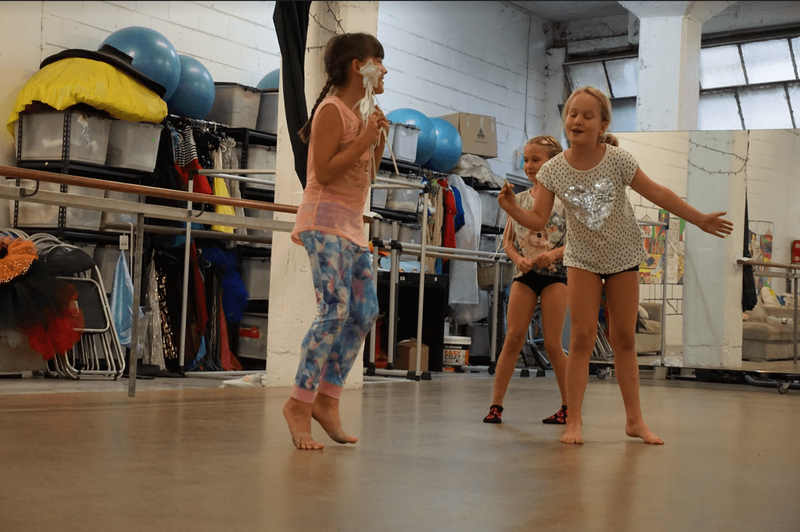 Our dance sessions are super accessible and full of fun for dancers and non-dancers alike. There’s no experience or dance shoes required in this dance class done different. Students will start by warming up, sometimes with a DD favourite - Stretch Master! - and then will learn some moves travelling down the room. They then get to put their moves together into a cool little routine. 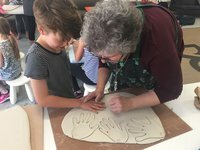 Active Arts worskshoppers get to roll, press, pinch, twist, and stamp out clay in this super sensory session. 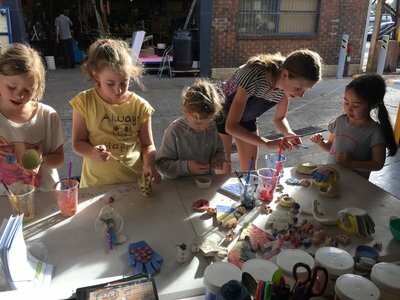 Hosted by the incredibly talented Agatha from the Sydney Clay Studio, students let their imagination run wild as they create pots, mugs, plates, statues, figurines, beads and more! Agatha is always on hand to give suggestions and assistance. Students also get to paint their clay masterpieces before they are whisked away for drying, glazing, and firing. In a few short weeks we get a fresh deliver of some shiny and super cool clay artworks ready for students to collect and take home. Animal races, break falls, handstand competitions, and the circle game… sound mysterious??? It’s all part of the super cool jiu jitsu lesson that awaits our Active Arts workshoppers! Jiu jitsu gives our workshoppers the chance to learn the basics of self-defence and build their confidence as they work in pairs and groups on new moves and a range of fun games. My personal favourite activity in this session is “Animal Races”. It sounds sweet, but this game really works up a sweat! Students have to move from one side of the delightfully squishy mats to the other moving as a particular animal. One minute they’re scuttling like crabs, the next minute they’re crawling like crocodiles, and then they’re head over heels tumbling like a crazy frog! 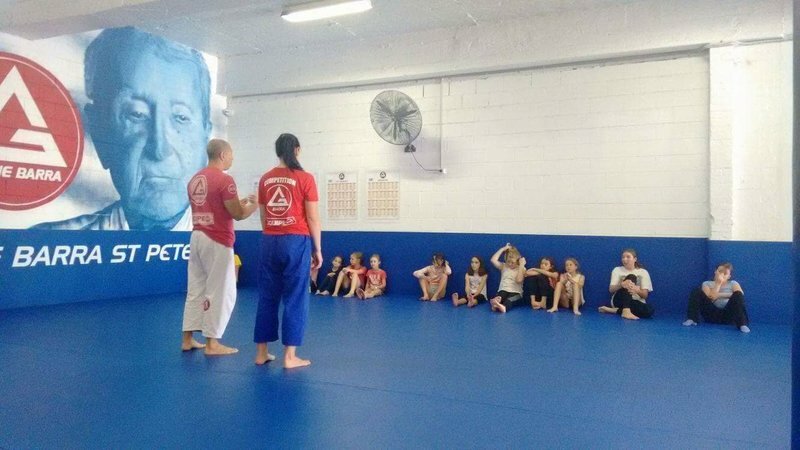 Fabio, the super-talented professor at Gracie Barra St Peters, is SO good at working with our workshoppers, encouraging those that are ready to tumble down the room, and giving extra guidance and support to those who have never done a forward roll before. It wouldn’t be an Active Arts Holiday Workshop if there wasn’t a chance for our kids to leave their mark. 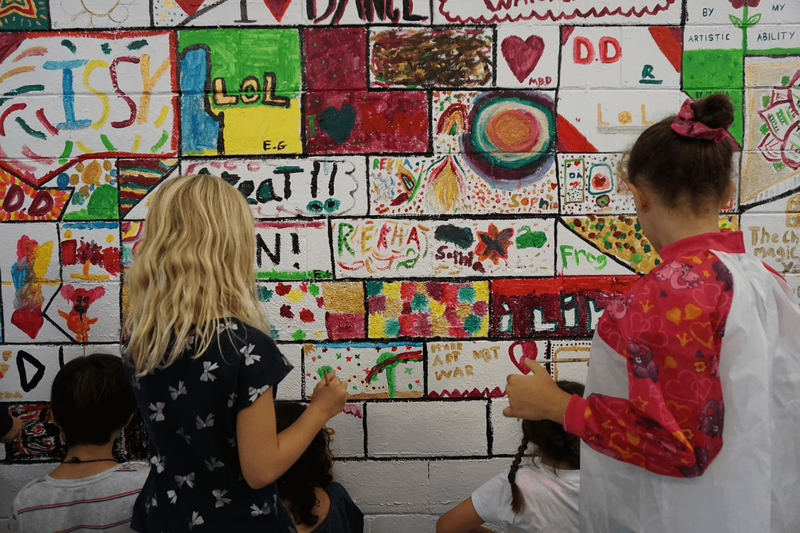 We’re all about fostering creativity and self-expression in a positive environment, and this free-form art session with a twist never disappoints! We love this activity because it allows our workshoppers a little bit of down time from all the super energetic activities and a chance to explore their arty side. Paint palettes are filled with a range of colours that are bright and bold – just like our students! They’re then given free reign to paint what their heart desires – whether it be an intricate portrait, geometric patterns, a nature-inspired picture, or, rainbow flag in support of marriage equality (one of my all time favs). If you’ve got a budding artist that’s looking to upsize their canvas, then Active Arts is the perfect place to unleash their creativity these upcoming holidays. These names might not make much sense to you but our Active Arts kids LOVE them! There’s nothing like a little trip to the local park to get some fresh air and have a run around. 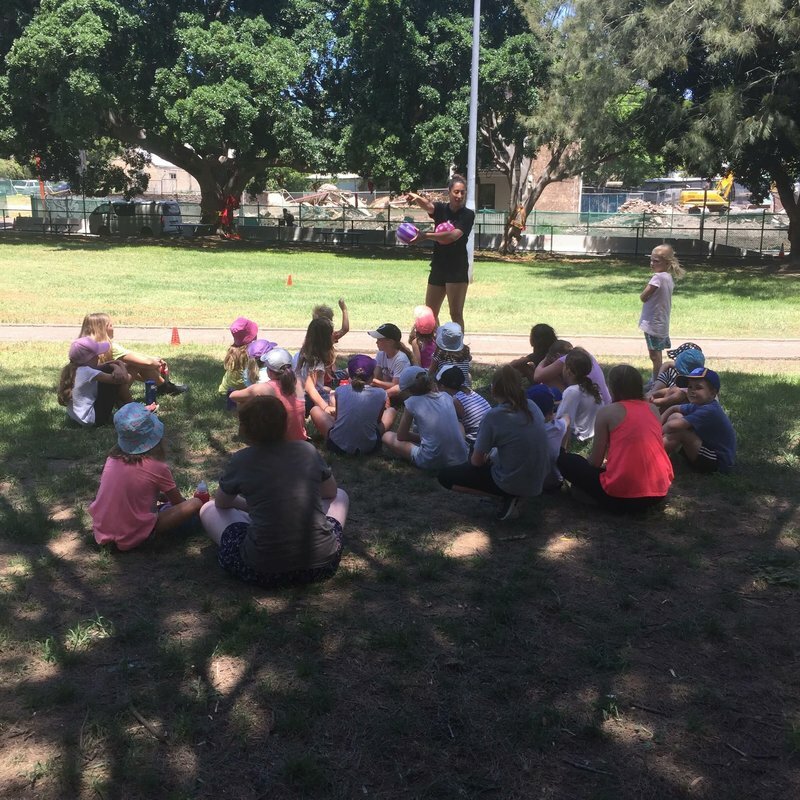 During our outdoor sports sessions, students work individually and in teams to play games that will get their hearts pumping. A trip to the park is never complete without some playground time, so we always finish up our Outdoor Sports session with a little free time on the play equipment. Active Arts kids love a little drama - but only the good kind! In these confidence boosting and creative sessions, students get to play a range of games that allow them to explore characterisation, speech and movement in a whole new way. Some of our favourite drama games include TV commercials, Space Jump, and Storyteller. Worried that your child isn't the most confident kid in the room? 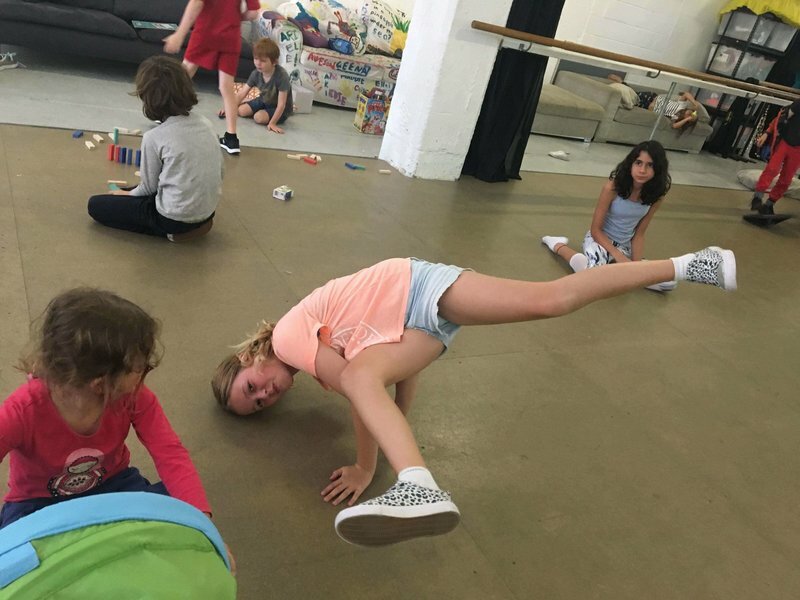 At Active Arts we love mixing up our drama sessions with group games that anyone can join in. Games like Night at the Museum are always a big hit with kids young and old, shy and bold. Some of our quieter kids are absolute all-stars when it comes to focus-based games, like My Sign, Your Sign, and what is affectionately known as ‘the laughing game’. 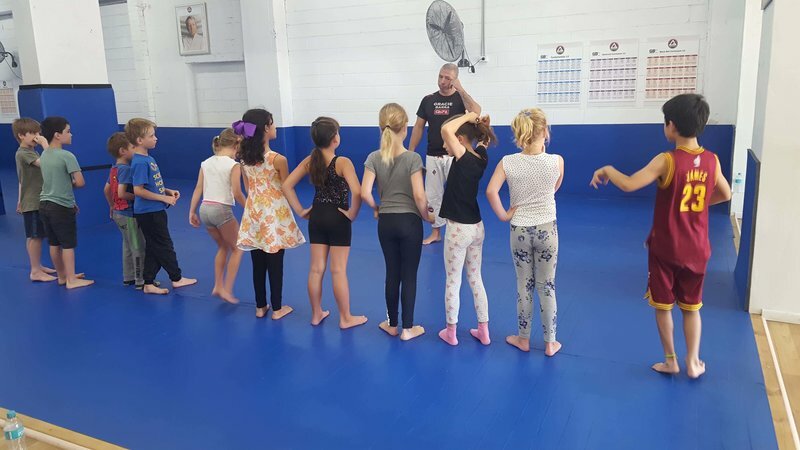 Our original and most popular school holiday workshop program for primary school aged kids. 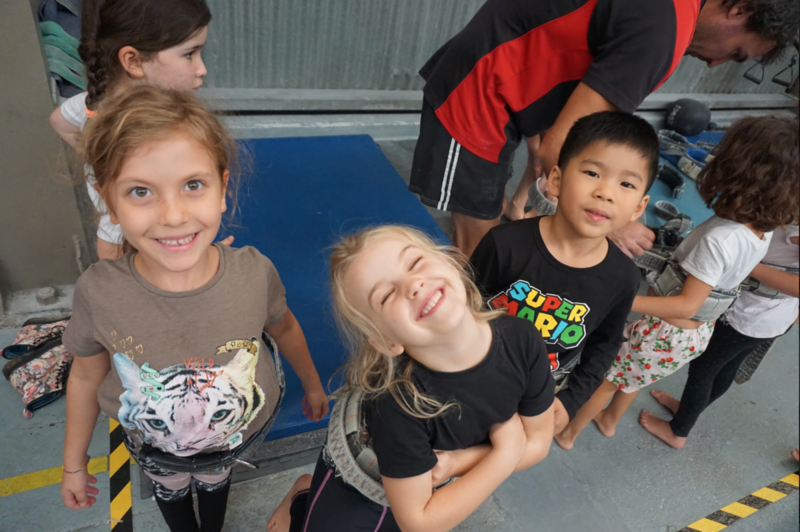 In 4 action-packed days, students will shake off the holiday boredom in energetic dance classes, make their mark on the studio walls with splashes of colourful paint, and really soar as they learn to fly on the flying trapeze. They’ll reach new heights as they scale the walls of the rock-climbing gym, find their inner strength in a self-defense class with a twist, and step into the spotlight in confidence-boosting drama games. Soccer for 4 days straight? Fielding cricket balls in the sun for 8 hours? Being stuck in the same room for the whole workshop? While that might be fine for some, we believe that variety makes for a whole lot of fun! 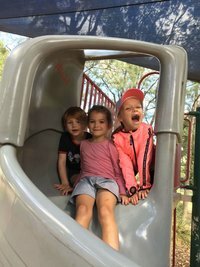 We’ve created an original program that allows kids to try new things, learn new skills, get moving, and unleash their creativity across a massive range of activities. Find out why our workshop students leave happy and exhausted, and why they can’t wait to come back the next morning! 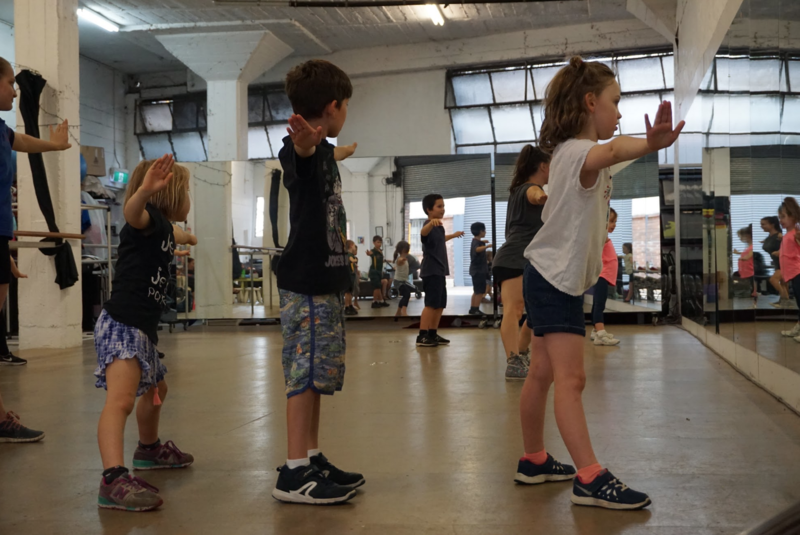 We're currently taking enrolments for our July Active Arts School Holiday Workshop. Yes. Active Arts Holiday Workshops are super popular and always sell out. We recommend booking in advance to secure your preferred days. Do you cater to different age groups? Yes. At Active Arts we arrange our workshoppers into groups according to age. While the age groups are dependent on the sessions' enrolment spread, there is generally a group for 5-7yrs, 8-10yrs, and 10-12yrs. Do I have to book in for all 4 days? No, you can book in for 1, 2, 3, or 4 days. 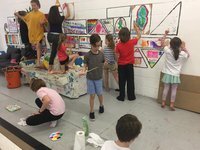 However, Active Arts Holiday Workshops are created with 4 day attendance in mind. While every effort is made to ensure that students are able to participate in activities they love the most, it is not always possible when attending less than 4 days. Head in the driveway off Unwins Bridge Road, and follow the ramp down and towards the right… As soon as you're off the ramp you'll see us on the right hand side. - any medications, Ventolin, EpiPens etc. ... and HEAPS of energy! Whatever they feel comfortable in. Something stretchy and easy to move in is best. Shorts, tights, leggings, trackies etc are great. Don't wear anything super special or fancy. Getting active and creative can sometimes get messy! How does this workshop run? Students are grouped with students int he same age group. 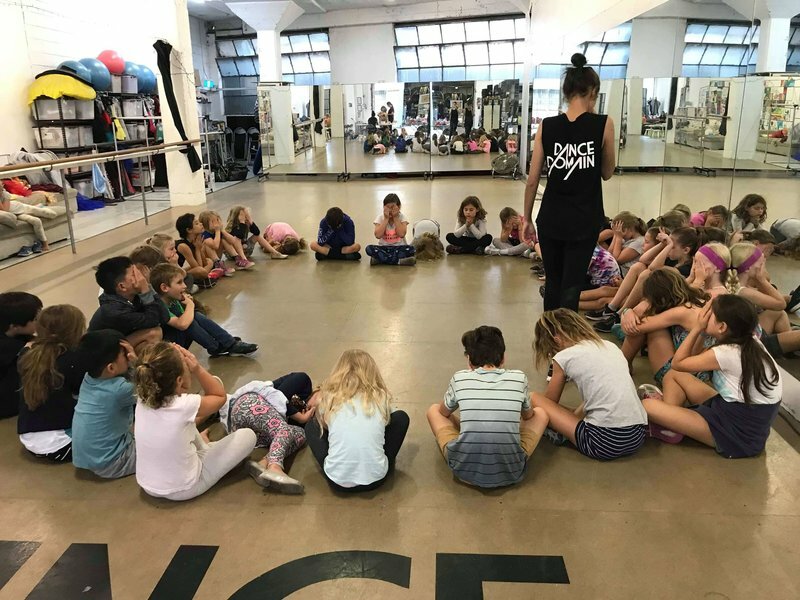 This can sometimes change depending on the spread of enrolments for a particular workshop, though generally there is a group for 5-7yrs, 8-10yrs, and 10-12 yrs. Students stay with their group throughout the week and attend different activities during scheduled sessions each day. Each group has one of our amazing dedicated Workshop Leaders and an Assistant Leader to ensure that every one of our workshoppers has the most incredible time ever! 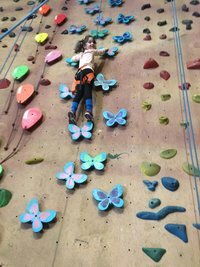 My child is scared of heights/isn't keen on trapeze or rockclimbing? At Active Arts, we believe in providing an amazing holiday experience for each and every one of our workshop students. We respect that not everyone feels confident with heights or certain activities. We never push students into participating in activities where they don't feel comfortable. We encourage students to participate in ways they feel comfortable - and often they end up surprising themselves and their parents! 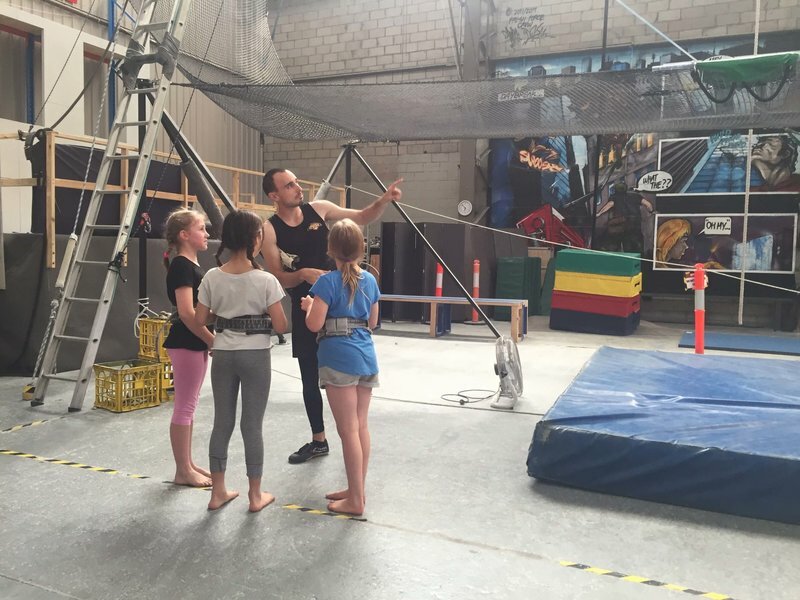 The trapeze session is broken into two parts, with half of the session dedicated to accessible floor-based activities so that students who may not be keen on flying trapeze still have an awesome time. What would you like to know about Active Arts?